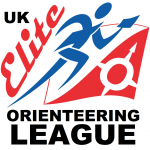 The UK Elite Orienteering League defines the must-do races for elites and aspiring elites. It consists of the most competitive races at biggest events, and it will provide a true test to find the best ‘all round’ orienteers in the UK. To keep up-to-date with the series like our Facebook page and follow us on Instagram and Twitter. See below for the races in the 2019 UK Elite Orienteering League which is set to be another cracker. We’ve got more sprint races in the programme, and a more rounded geographical distribution. Good luck to everyone taking part! Scoring: Best 6 scores from first 9 races for juniors, best 6 scores from first 10 races for seniors, the final British Champs race to count for all. At least 1 and maximum 3 scores from any one discipline (sprint/middle/long) to count. See scoring for full details. If you are interested in sponsoring the league in future years, either with a contribution to the cash prize fund, or with clothing, or equipment, please email us. In return we can promise publicity at the major races in the UK orienteering calendar, as well as being associated with the elite orienteering scene.